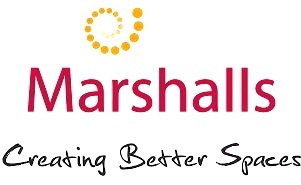 As the UK’s leading hard landscaping manufacturer, Marshalls has been committed to creating better spaces since the 1890’s. Over this time, our natural stone and concrete products have become synonymous with quality and excellence. Today, examples of our products can be found in prestigious public spaces and landmarks including Trafalgar Square and Wembley Stadium. Stay at the forefront of ideas and innovation with the help of the latest Marshalls product technology.